The 4th Industrial Revolution marks the mass implementation of artificial intelligence, nanotechnology, internet of things (IoT), robotics, 3D printing, autonomous vehicles, blockchain and a broad array of additional technologies. These innovations are greatly improving the efficiency, scalability, reach and profitability of just about every industry over the next 10 years and beyond. Companies will be more efficient, more cost effective, the product/service quality will be higher and customers and business alike will benefit greatly from these innovations. At the same time, workers who previously occupied those positions will find themselves at a significant disadvantage unless they find alternative work with similar pay. This simple aspect of employment erosion over time will have unprecedented impact on the economy, politics, financial markets, conflict and many other areas. What separates the 4th Industrial Revolution from previous revolutions is the underlying economic dynamics relating to workers and the jobs that will be replaced. Workers benefited greatly from previous revolutions as they saw increases in productivity, jobs and wages from the technological improvements of the era. Technological improvement were mostly additive and workers would simply need to be retrained to complete new tasks. However, in the 4th Industrial Revolution the technology has the capacity to significantly automate the majority of task based jobs in blue and white collar jobs. As a result workers have to consider that they might be entirely replaced in the 4th Industrial Revolution as workers with non-relevant skill sets will transition from unemployed to unemployable. This potential transition is the other side of the amazing advances in technology we are reading about on a weekly basis. But before you dismiss this as something more science fiction than reality and unlikely to happen, remember this: it’s already happening, right now. As this line is being read at the start of 2017, everything that has been mentioned is already well on its way to becoming more of a reality for consumers, employees and companies alike across business, borders and regulations. While it might seem like a lot of doom and gloom, I’m actually very optimistic about how everything will play out for everyone, even for the common middle class worker. To understand how the 4th Industrial Revolution can work for everyone read the section I wrote called The 4th Industrial Revolution and the Renaissance of Human Purpose. So now that you've realized the Fourth Industrial Revolution is underway (or maybe you're still not entirely convinced) you're probably looking for the information you'll need to better understand the risk, opportunities and general challenges of the changes the world is experiencing. If you look below on this page and browse the rest of the 4th Industrial Revolution (4IR) section of this site, you'll find all the information you need to get your mind wrapped around the subject. You'll be able to understand the core drivers, impacts, risks, opportunities and the likely road ahead. You can also take a look at a short video overviewing some of the larger ideas some of the greatest minds in these fields are currently working on. It also touches on how significant the changes all of us will see over the coming years will be. If you think I should add something, change something or just want to send me a message with something new you are working on or discovered I'd love to hear from you. Just shoot me a message here on the site. Artificial Intelligence is all around us. From the google searches we make on our phones, to the questions we ask Siri, automated cars + machines, IBM's Watson to many of the interfaces we use on a regular basis while conducting our everyday jobs and errands. Artificial Intelligence is the process of designing intelligent machines and systems especially in regards to computer programs that can solve complex problems that standard computing systems and human could never solve. Most systems already have the ability to learn from its experiences and improve exponentially over numerous iterations. Currently, AI is broken into two primary camps: Narrow AI, General AI and Super AI. Most of us are familiar with Narrow AI systems, these are machines that can beat a chess grandmaster at Chess, or just recently another machine that beat the world's best player in Go. While exceptionally good at beating a human opponent, these systems have limited flexibility in their applications. A Narrow AI system that is dedicated to Chess or Go cannot win a simple game of checkers or tick-tac-toe. The system has the extreme ability to learn but only in it's narrow domain of knowledge. General AI will be comprehensive like the human mind. Able to learn multiple skills and self improve with the knowledge it attains just like a human mind or better. These systems have the ability to: reason, strategize, make choices with incomplete knowledge, plan, learn, communicate and be creative just to name a few core characteristics. But most importantly the AI must integrate all of these skills to achieve common goals and propose new ones. 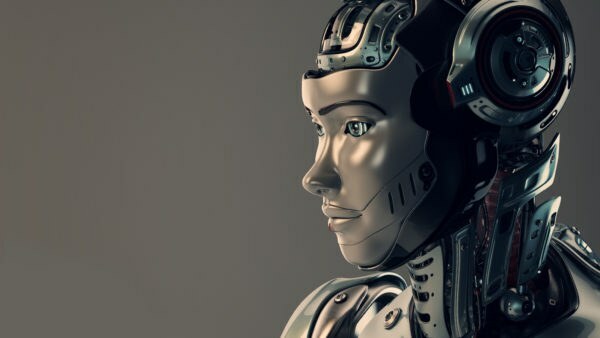 General Artificial Intelligence is also referred to as Strong Artificial Intelligence and Full Artificial Intelligence in case you were looking for those terms as well. Automation, Robotics and 3D Printing are critical concepts for everyone to understand as they will have some of the greatest impacts on employment and job replacement (white and blue collar). Some estimates put potential job losses anywhere from 40 to 99% in some sectors. Of course there are nuances to these numbers in that not all jobs will be totally replaced, some will only be partially replaced and workers will not be entirely replaced but rather their roles will be significantly reduced and so will the associated compensation. Robotics, is traditionally thought of as narrow, fixed, highly programmed, dumb robots that do static processes (think autoplants robots) but these are the robots of the past and not the ones that should be worrying you. The new generation of robotics involve General Purpose Robots that can be easily trained by anyone to do a broad range of tasks from serving food and beverages, doing manufacturing work or folding clothes. The only limitation the robotics have is the current lack of total-dexterity (think of fixing a pipe) that would allow a whole variety of new robots to take over even more jobs like plumbers, carpenters and mechanics among many others. Automation while encompassing robotics also refers to automation software that is designed to completely automate many white-collar jobs. If your job involves sitting in front of a screen, clicking or doing anything task based your job will be or is already on the block to be replaced by automation software. These programs will also replace customer services agents you normally interact with online or when you call a company or government agency, so getting to an actual human will be the exception and not the rule. These innovations will result in the most significant erosion on labor demand. The rise in Platform and Sharing Economies are tightly correlated to the advancements of the 4th Industrial Revolution. Platform and Sharing Economy Companies are not technological disciplines in the same way blockchain, artificial intelligence and IoT technologies are, rather these are economic ecosystems which have combined many aspects of the innovations of the 4th Industrial Revolution into their business models to break the traditional business models by providing peer-to-peer or as I like to call it worker-to-client platforms, removing the traditional middle man (owner operator) from the transaction. This has resulted in numerous industry incumbents suffering significant and measurable economic losses over a very brief time horizon. Industries like the taxi industry (Uber, Lyft, Yandex), the home services industry (Handy, TaskRabbit), pet care (Wag), and numerous other industries are in a current state of flux. These changes area already having significant impacts on the economy, how we live and consumer services, but most importantly it is changing the way we work and will work in the future and it doesn’t look good. Workers should expect to move towards a more freelancer/gig based economy for many services with fewer safeguards, benefits and upward mobility. While there are very technical definitions of blockchain and a broad range of reasons for what it can be used for like crypto currencies and private/public ledgers to track all forms of information and assets, none of these explain why blockchain is useful and will be adopted. In the most simple form, blockchain and all its derivatives, are digital trust that allows people to share, transact and verify a broad range of assets instantly and with absolute confidence. Blockchains, achieve this trust by providing participants transparency, traceability and in such cases like Ethirium, enforcement by using smart contracts built on the blockchain. So why is this trust building, smart contracting technology so important? Well it’s simple. One reason relates to the industries blockchain will disrupt. Second, the governments who want to use it. Third, the people wanting access to the global market for business. These three drivers will form the primary drivers for the growth of the blockchain technologies. In the broadest sense, Internet of Things (IoT) refers to physical devices that send and receive data via the internet. These physical items make parking, energy use, tracking, monitoring air quality, heart monitor, water usage and even your workout more efficient, reliable and easy to interact with. All of these items interact with one another automatically without the need for human interaction to complete their tasks. IoT brings the physical and digital world together thru seamless connectivity. Entire cities are becoming more connected to improve parking, save energy and water, track issues and improve the overall quality of life for citizens. Barcelona for example has implemented innovative parking solutions that tells drivers where exactly they can find an available parking space in real time. The local government has also implemented new energy saving technology to better use street lamps around the city. But what is most interesting is the fact that power lines, water lines and other key infrastructure that used to be monitored and checked by people on a regular basis are now being checked by tireless, always connected, economical sensors. As sensors become more sophisticated they will be able to collect more complex and valuable data thus increasing the rate of automatable jobs. We also must be very aware of the data privacy concerns and data rights that are not adequately addressed at the corporate, governmental and most importantly the personal level (after all, we’re the ones producing all the data!) This data is the new oil for the digital economy and we are freely giving all our data away for companies to collect, trade, sell and use as they see fit. Even more troubling is the amount of insights companies have into each of our private lives that has become digitally stored (forever in some cases) for private corporate and governmental use.